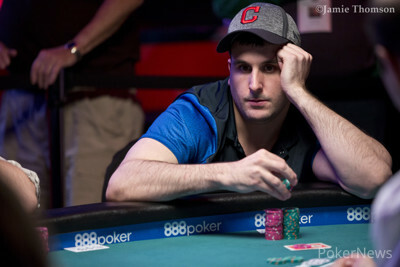 Alex Ferrari raised from the small blind and was called by Ryan Paluf in the big blind. The flop came and Ferrari bet. Paluf called. The turn brought the and Ferrari bet which had Paluf covered. He called. Both players tabled their cards before the dealer produced the on the river. Ferrari was showing for trip kings which took down the pot after Paluf's hand was mucked.